Play! 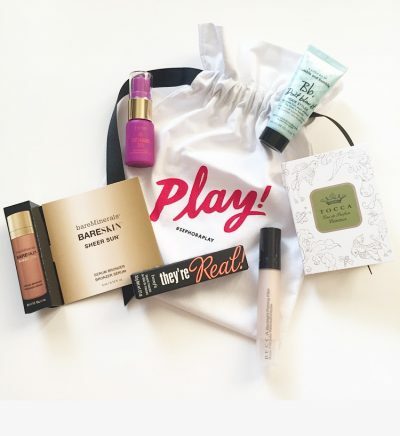 By Sephora Unboxing June 2016! Hi everyone! 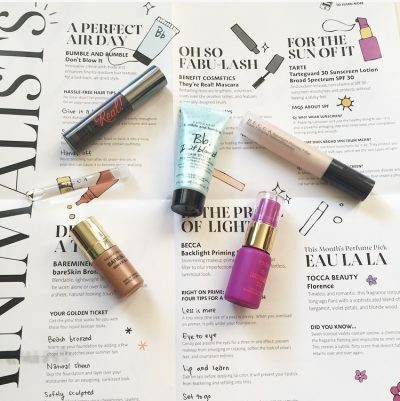 I’m excited to bring you a peek and review of the June Sephora subscription box. 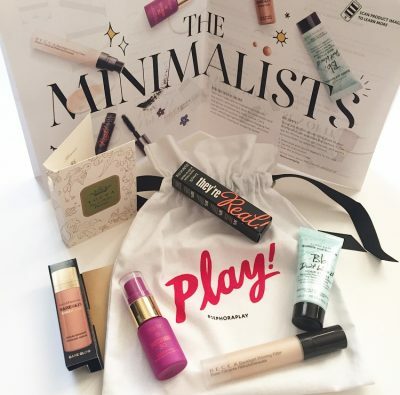 This curated box is $10 a month and you receive 6 deluxe size samples from prestige brands. There’s currently a wait list so if you’re interested, visit the Sephora website to add your name to the list. The theme for this month is minimalism for a low-key summer look. Let’s take a look at what’s included. This hair creme is said to add body and “enhance fine to medium hair textures for a laid-back, air-dried style.” I have curly hair and while this provided it some definition, on it’s own, it didn’t hold up. My hair frizzed up and I had to pair it with other styling products. I think it would work better on wavy or straight hair. A liquid bronzer that can be used by itself or customized with your foundation to give you a sun-kissed glow. I loved this product. I used it to softly contour my face and although it looks dark, it blends out nicely without looking orange. A bestselling mascara, this helps to lengthen and volumize the smallest of lashes with its specially designed brush. Personally, I am not a fan of this mascara at all. The formula burns my eyes and somehow I find that this tangles/clumps my lashes so much. I gifted this one away. Easily the product I looked forward to most when my box arrived. It’s a shimmering makeup primer that helps to blur imperfections and create a luminous look. 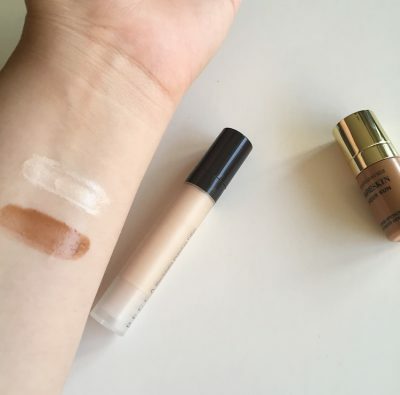 I loved how this paired underneath my foundation to create a nice glow and I found it worked nicely as a liquid highlighter. I made sure to use powder over my makeup to keep my skin from looking overly shiny as I have combination skin. The esthetician in me is of course happy that a sunscreen was included in this box. An antioxidant- infused physical (non-chemical) sunscreen, this provides both broad-spectrum protection and moisturizing benefits. This sunscreen feels almost like a serum that absorbs quickly and is a bit on the oily side. So far, I haven’t experienced any breakouts from this though and it mixes well with foundations. This romantic perfume, “conjures long-ago Paris with a sophisticate blend of bergamot, violet petals and blonde wood.” I didn’t care for this scent much. When I looked it up on the site, I noticed it also had notes of ivory gardenia and jasmine, both of which I really dislike. In order for me to like a perfume that contains jasmine or gardenia, these scents can’t be prominent and unfortunately that was the case with this one. Swatches of the primer and bronzer. I was pretty happy with this box as it included some great brands that are perfect for a glowy summer look. What did you think of this box?